When you’re an ex-president, paying your respects to a fellow world leader is the right thing to do. 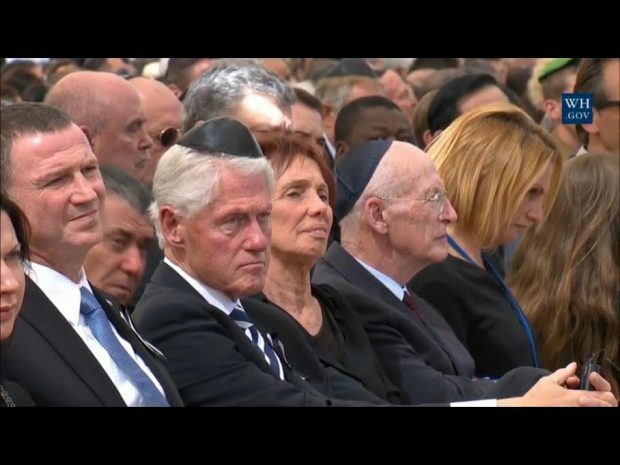 But something seems to have gone terribly wrong with the positioning of Bill Clinton‘s yarmulke at former Israeli President Shimon Peres‘ funeral. Pretty sure this is not how it’s worn. If Clinton glances to his left, he can get a sense of the proper perch.